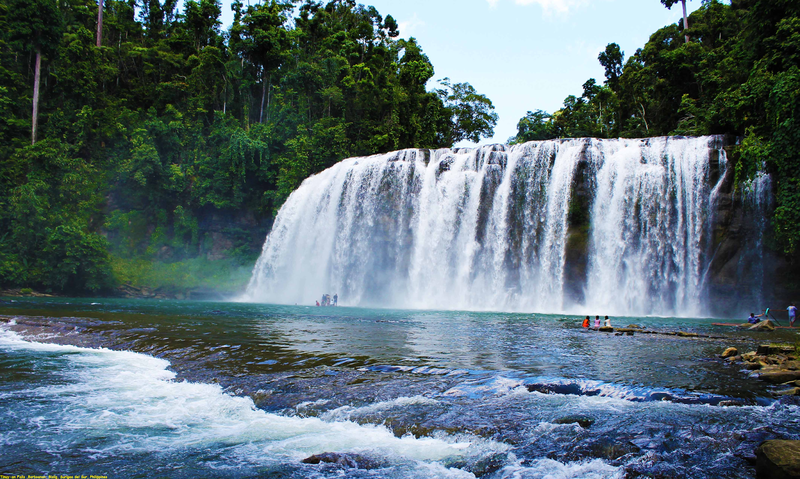 Tinuy-an Falls is a multi-tiered waterfall in Bislig, Surigao del Sur in the southern island of Mindanao, Philippines. Bislig, is a city known as the Booming City by the Bay. The Tinuy-an falls are 95 m wide and 55 metres (180 ft) high, touted as the little Niagara Falls of the Philippines. Tinuy-an is a white water curtain that flows in three levels (with a fourth tier hidden from view) and is said to be the widest waterfall in the Philippines.